PNB Housing Finance IPO - Review - Is it worth Investing? PNB Housing Finance Limited is a registered Housing Finance Company (HFC) with National Housing Bank (NHB). The company was formed under the Companies Act, 1956 and commenced its operations on November 11, 1988, and is a subsidiary of Punjab National Bank (PNB), which holds 51% of share capital in the Company. The Company does not have a subsidiary. PNB Housing Finance offers home loans to the individuals and the corporates for purchase, construction, extension and improvement of the house. It also offers loans for residential plots, NRIs, commercial property, loan against property, loan against rental receivables, loan for real estate developers, etc. With more than two decades of specialized experience in housing finance, it has a robust network of branches spread across India which help its customers avail financial services (loans and deposits) seamlessly. The company also believes that the listing of its equity shares will enhance its visibility and brand name among existing and potential customers. As of June 30, 2016, Company’s Tier I capital is 8.40% of the risk-weighted assets. The Net Proceeds from the issue is proposed to be utilized for augmenting its capital base. The company is anticipating that the proceeds from the Issue will be sufficient to satisfy its Tier-I capital requirements for the Fiscals 2017 and 2018. Further, the company also intends to utilize its net proceeds towards its business and growth including onwards lending, payment of operating expenses, purchase of assets and repayment of outstanding loans & interest thereon as part of its business activities. Meeting expenses incurred in ordinary course of business. Any other purpose as approved by the Board or a duly appointed committee in a timely manner, subject to compliance with necessary provisions of the Companies Act. It is the 5th largest HFC in India and the fastest growing HFC among the leading HFCs in the country. It has a strong distribution network with deep penetration into key urban centers in India. It has access to cost-effective and diversified funding sources. The company has a diversified product offering with specific focus on self-employed customers. It has a customer-centric approach resulting in strong brand recognition. Experienced and qualified professionals manage the company with strong industry expertise. Support from its parent company and promoter. If the Interest rate eases in the near future, the demand for loans is expected to increase and the housing finance companies are also expected to do well in such a scenario. Due to its high credit ratings, the company has access to multiple fund raising opportunities in the capital market. It has received “AAA” credit rating from a couple of credit rating agencies in India which is a plus point for the company. Post IPO, Punjab National Bank’s stake will dilute from present 51% to approximately 39%. Company’s loan portfolio grew at a CAGR of 61.76% from Rs 39,696.63 million as on March 31, 2012, to Rs 271,772.68 million as on March 31, 2016. As on June 30, 2016, company’s loan portfolio had further increased to Rs 309,006.44 million. It has a primary focus on the salaried class and professionals, and it aims at the retail loan segment. Also, housing loans have the minimal risk among all asset classes for the Housing Finance Companies (HFCs) which is why, even after the economic stagnation between 2008 to 2015, NPAs for Housing Finance Companies has been declining. PNB Housing Finance asset quality is better than its peers in the industry as its Gross Non-Performing Assets (NPA) stands at 0.22% as on March 31, 2016. While its peers like HDFC Limited stands at 0.94%, LIC Housing Finance Limited at 0.45%, Dewan Housing Finance Limited at 0.93% and Indiabulls Housing Finance Limited stand at 0.84% for the FY ending 2015-16. Price to Book Value for PNB Housing Finance Limited post issue is expected to be approximately between 2.3 -2.5 times. 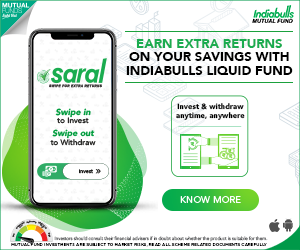 While P/B for its peers like Indiabulls Housing Finance Limited stand at 3.6, Housing Development Finance Limited at 6.46, LIC Housing Finance Limited at 3.17 and Dewan Housing Finance Limited at 1.57. So, even though P/B value is higher than Dewan Housing Finance Limited, it is still cheaper than its other peers like Indiabulls Housing Finance Limited, HDFC Limited and LIC Housing Finance Limited. Price to Earnings ratio for the company based on the basic and diluted EPS at the bottom end of the price band i.e. Rs. 750 will be 27.19 and at the upper end of the price band i.e. Rs. 775 will be 28.10 as compared to the industry average of 25.98. However, if you look at the P/E of some of its peers like HDFC Limited, Repco Home Finance Limited and Gruh Finance Limited, as illustrated in the above table, it still has a decent stand. The Return on Net Worth for the company is at 17.6% for the FY 2015-16 in contrast to the industry average of 21.98% which is at a lower end. Looking at the Past performance of the company as well as the future prospects this IPO could be a good bet. However, valuations are steep, even at the lower price band its is expensive than the industry average. So, it would be prudent to wait for this company to get listed and look for an opportunity to buy this stock at a later date. 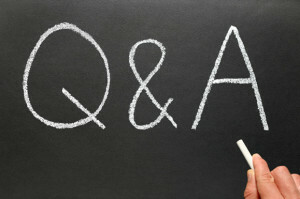 This is a guest post by Kishorkumar of Mymoneysage. KishorKumar Balpalli – Kishor is the founder of mymoneysage.in. He believes that financial literacy and discipline is the key to one’s financial freedom. Mymoneysage.in is an award winning personal finance platform, which helps you aggregate all your personal finance accounts like FD, Equity, Mutual Funds, PPF EPF, Credit Cards, Loans etc. Its one place where you can track, plan and invest seamlessly. Mymoneysage.in empowers you to invest in zero commission direct plans of mutual funds thereby helping you generate higher return on investments when compared to Regular Plans. The 7 most important Personal Finance Ratios you need to know. 10 rules to select good Shares / Stocks for Value Investing! 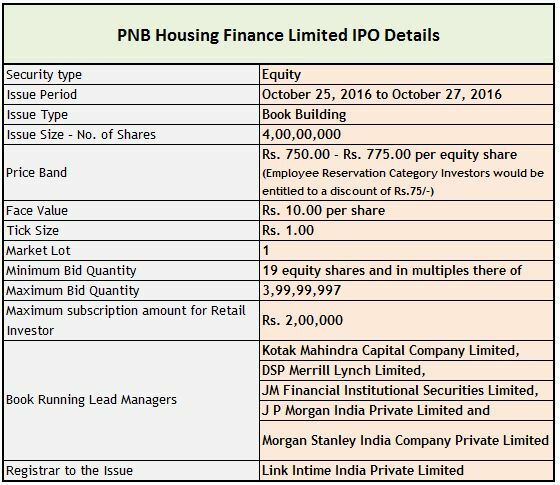 Latest News (28-Oct-2016): PNB Housing IPO has been over-subscribed by 30 times. Retail investors’ lot was fully subscribed at 1.34 times of the quota limit. Latest News (07-Nov-2016) : PNB HFL shares made a good debut on the bourses on 7th November. The shares have got listed on BSE at Rs 863 over the issue price of Rs 775 (11.35% premium). The listing price on NSE is Rs 860. Kindly note that Relakhs.com is not associated with Mymoneysage. This is a guest post and NOT a sponsored one. We have not received any monetary benefit for publishing this article. The content of this post is intended for general information / educational purposes only. It must not be construed as an Investment advice. Investments are subject to various risks. Kindly consult your Investment Adviser before making stock market investments. 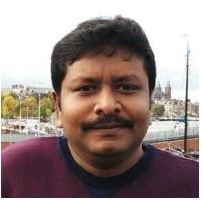 Kishor is the founder of mymoneysage.in. He believes that financial literacy and discipline is the key to one’s financial freedom. I want to purchase term insurance around Rs.5000000 with critical illness of Rs.500000 and accidental benefit of Rs.5000000 i.e. basic sum insured please suggest me the Insurers having that features.I am 52 years at present with 60% disability. Considering your profile, insurers may charge extra premium to issue the required Sum Assured. Best Personal accident insurance plans. I am an avid fan of ur blog. Sir I want ur suggestion regarding investment of 50 lac rupees. 1. 10 year fd in post office of rs 10 lac in my mother’s name whose age is 50. 2. 5-5-5 lac fd in the name of three brothers including me for 5 years. 3. 10 lac as company fd in Bajaj. 5. Rs 9 lakh in post office mis,( 4.5 lac each in 2 separate accounts) so that I receive 6k per month which I want to invest in HDFC BALANCED MUTUAL FUND. Plz advise me on my options and any other good investment options. Any specific strategy/reason for opting safe/fixed income securities only? May I know your investment objective(s)? Read: List of best investment options! No specific strategy sir…my mother receives pension of Rs 20000 per month; me and my younger brother are students now; my elder brother is an IES officer. So financially we are quite stable. we also have Rs 30 lac on which we are undecided till date on whether to invest it. Our only goal is my cousin sister’s marriage in 2 years for which i am doing company fd of 10 lacs for 2 years in BAJAJ. Rest money i want to invest so that i get good returns which leads to wealth creation. We have our own house and a land whose market value is about 40 lac now..but we are not selling it now and want to keep it for 5 years more…Sir kindly guide me if my above options(which i have shortlisted in previous post) are good or not?? and any alternative which you think will be good for us. If your investment objective is ‘wealth creation’ in long-run, I believe that you can consider investing a major portion of the corpus amount in Equity oriented products so that you can get decent real rate of return on your investment. Why it is advisable to avoid investing in FDs/RDs for longer period?